Till 30th April, 2014, about 237.5 lakh tons of sugar has been produced against 246 lakh tons of sugar production last year during same period. Sugar season 2013-14 has almost come to an end with only about 80 sugar mills operating on 30th April 2014. Maharashtra has produced 76.50 lakh tons of sugar after crushing 671 lakh tons of sugar with 11.4% of sugar recovery. As on 30th April, 2014, only 15 mills were still crushing sugarcane. During same period last year, sugar production was at 79.81 lakh tons with same sugar recovery as that of current year. 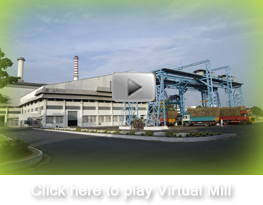 The 15 factories which are still operating are mostly located in Kolhapur & Pune zone. Uttar Pradesh has crushed 692 lakh tons of sugarcane to produce about 64.10 lakh tons of sugar with 9.27% of sugar recovery. Only 10 sugar mills are still crushing which are mostly in western zone of Uttar Pradesh. Last year, till April end, Uttar Pradesh had produced 74.8 lakh tons of sugar with 9.18% of sugar recovery. Karnataka has produced historically the highest ever sugar till date, which is at 41.7 lakh tons of sugar production, at 10.99% of sugar recovery. Millers are not expecting much sugar production in special season, which usually happens in August and September. Last year till date, sugar production was at 34 lakh tons with 10.4% of sugar recovery rate. Gujarat has produced 11.8 lakh tons of sugar, which is about 4% high than last year’s total sugar production. All mills have already closed for the season. Andhra Pradesh has produced 9.9 lakh tons of sugar with 10% of sugar recovery. However, AP has already touched its last year’s level of sugar production and soon all mills will close in a week time. Tamil Nadu which has produced 10.8 lakh tons of sugar till 30th April, 2014, which is about 30% less than last year’s sugar production during same period. Delay in sugar exports incentive notification is also keeping Maharashtra, Karnataka and Tamil Nadu millers in uncertainty, who still have raw sugar stocks of about 6 lakh tons, at the end of 31st March, 2014. Several export contracts which were finalized with the expectation of Rs. 3300 per ton of incentives are not getting executed, burdening the domestic market with some extra sugar. Meanwhile, the cane price arrears across the country have crossed Rs. 10,000 crore, the highest ever. If one considers cane price which remains unpaid, the amount would cross Rs. 12000 crore, which is almost 20% of the total cane price payable in the current season. With sugar prices again falling quite fast in the last fortnight, the chances of cane price arrears getting cleared early seems remote. Sanction and disbursement of the interest free loans is also slow and only about 50% of the intended loans have been received by the mills, delaying clearance of arrears of farmers. The raw sugar production incentive and exports thereof has also not given the desired benefits to the millers and the farmers, when against the targeted export of 40 lakh tons, only about 3 to 4 lakh tons has got exported. Delay by Government to announce the incentive rate for April – May is further harming the sector, and delaying clearance of arrears of farmers.